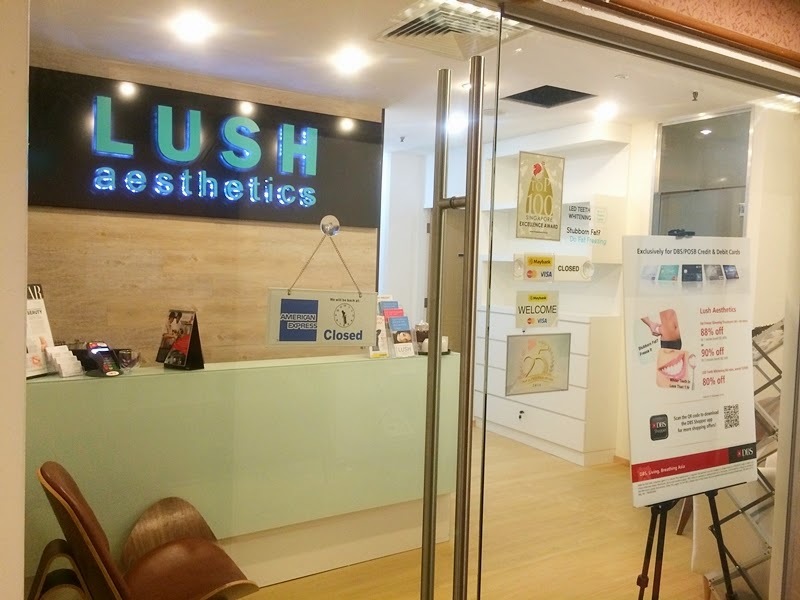 A week ago, I went for my first Fat freezing treatment at LUSH Aesthetics. When LUSH Aesthetics invited me to try out their treatment, I was contemplating which treatment to try as LUSH Aesthetics provides a wide range of treatments. After some considerations, my choice narrowed down to Scalp treatment and Fat Freezing. In the end, LUSH Aesthetics recommended trying their Fat Freezing treatment because I have stubborn fats around my thighs which I can't seem to reduce even with exercising, so maybe Fat Freezing treatment might work for me. Effects are visible after 2 months and at its best 3 months after the treatment and continue to improve into 6 months. It is a safe and easy way to achieve fat reduction with noticeable results by improving your body shape without any needles, incisions, anesthesia or side effects. You can even resume normal activities with no difficulties. 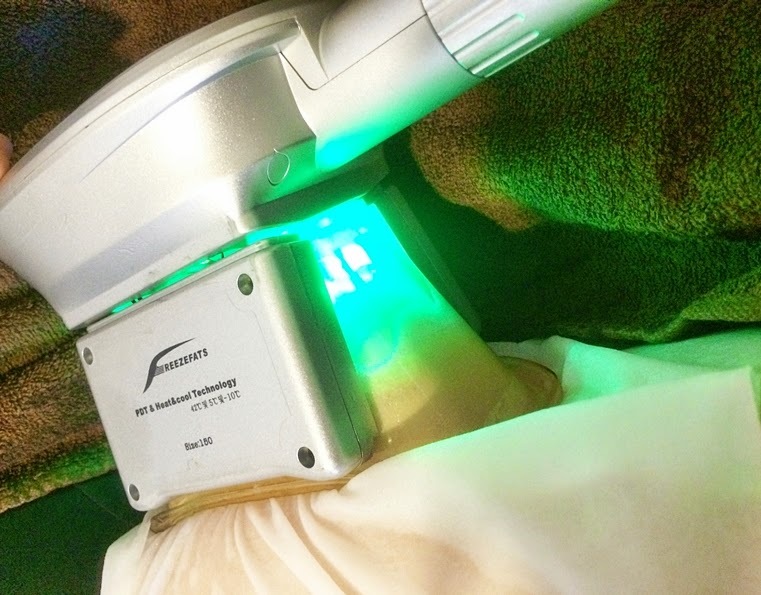 How amazing is this Fat Freezing treatment that it continues to burn fats even after months of doing the treatment. 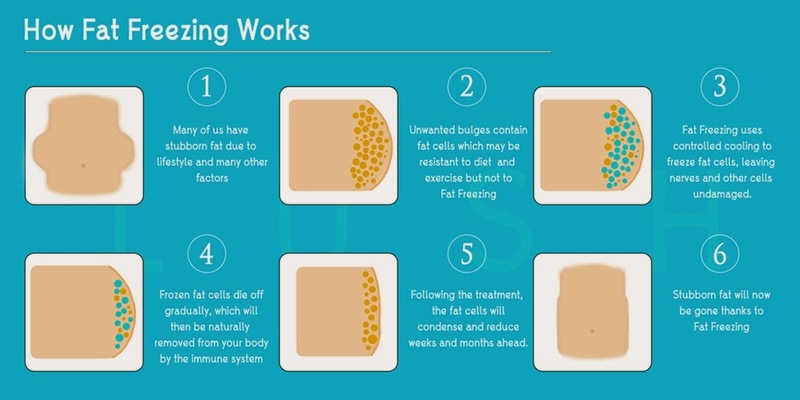 Let me bring you through the process of my treatment and my experience doing the Fat Freezing treatment. 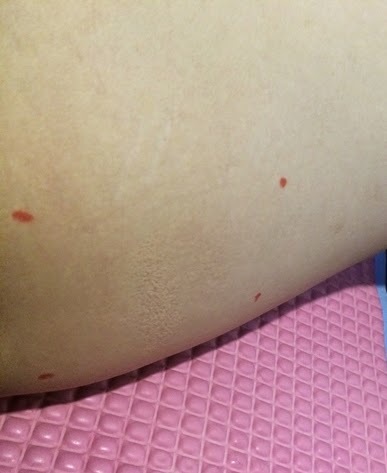 The first part was filling in of my particulars and reading of information about Fat Freezing treatment to ensure that I am aware of the results and any possible after effect of the treatment. 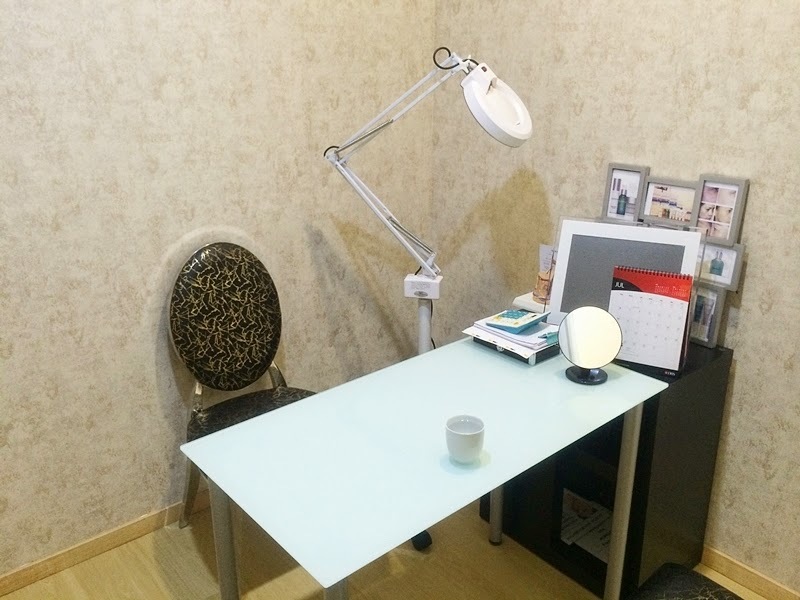 Next, I was brought into a consultation room to decide on the areas suitable for me to do the Fat Freezing treatment. I was led into treatment room and offered a robe to change into. 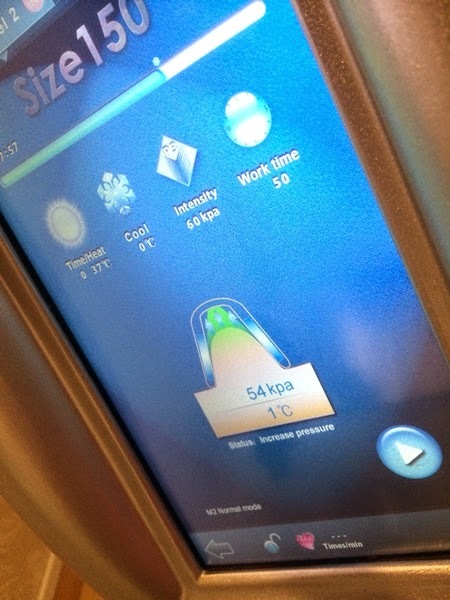 The Fat Freezing machine has 2 cooling plates of different sizes, 150 and 200. Before the cooling plate was placed on my thigh, markings were made to indicate the area that has the most amount of fats to freeze and get rid of. 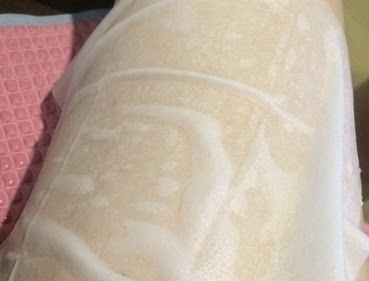 A cooling membrane was then placed on my skin, followed by the cooling plate being placed over the marked area, and in a short moment of time, fats were pulled in by the cooling plate and cold air was released to lower the temperature of the fats and crystallize them. For some people, this treatment may hurt, but I think I have high tolerance for pain such that I find the treatment alright for me. 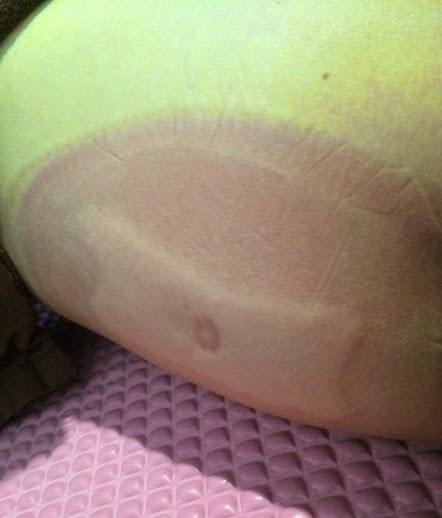 However, after the cooling plate was removed, I was surprised to see how red my skin was. 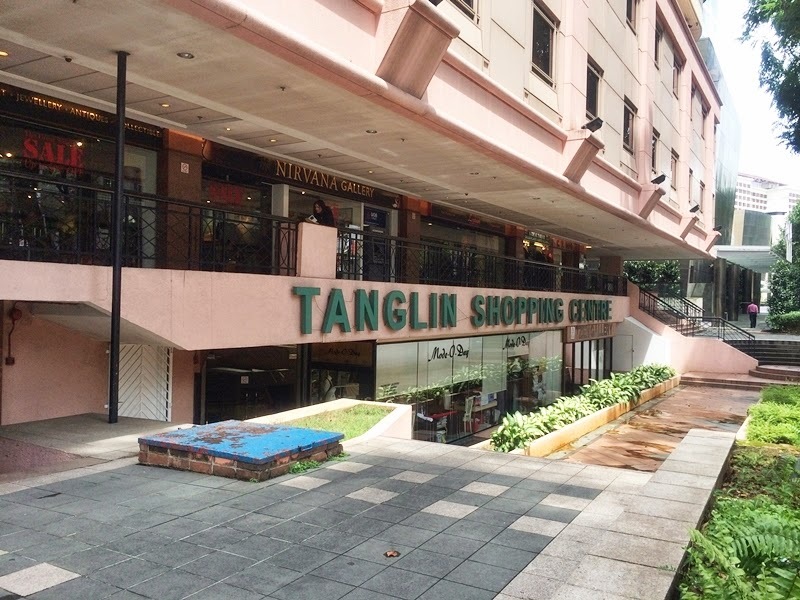 Fortunately, I did not get blister, no numbness, no stiffness nor swelling. I was told that I have very good blood circulation. After the redness reduced, I saw tiny bruise, and my thigh aches a little as if I had just went for long distance running. The process was like an exercising without perspiration. My overall experience had been rather alright. On the second day, my thighs still ache but by the third day, redness and aches were all gone. Fats will continue to burn even 2-3 months after the treatment, and this treatment promised 25% fat reduction with FDA Approval. This is like a non-surgical liposuction, and I am looking forward to see the fats around my thighs reduce. 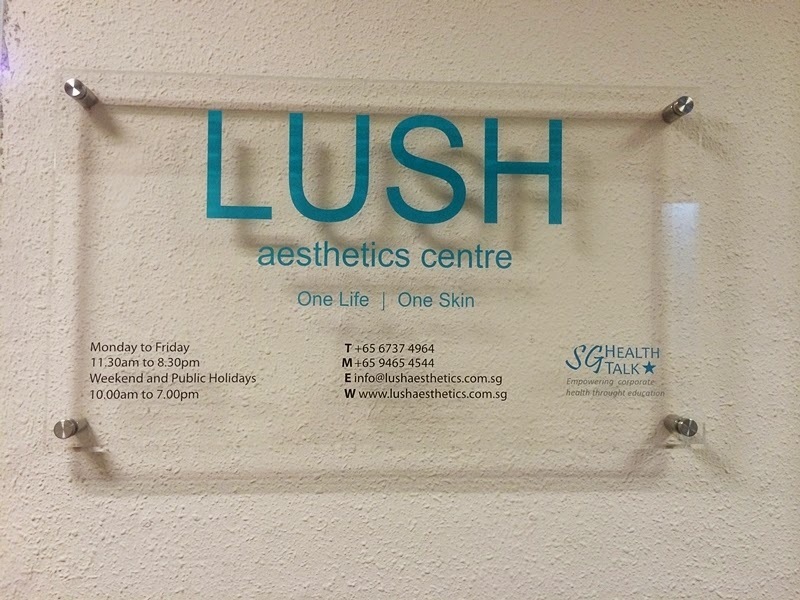 You can find out more about LUSH Aesthetics and the treatments they offer at http://www.lushaesthetics.com.sg/. Hello, I understand it has been some time, however, how has it been till now? Did it reduce and any growth of more fats on other parts of the body? Hi Wendy, after the treatment, as long as calories intake doesn't increase drastically, it won't cause fat growth over the treated area or in other parts of the body. Keep a balanced diet and continue exercising to help maintain the results even after treatment. So after trying out, was there any improvement? Hi Anon, yes there is slight improvement in one session. More sessions are required for more significant improvement. However, for long lasting methods, I believe healthy diet and exercise will be better. Hope this helps. So did it work? 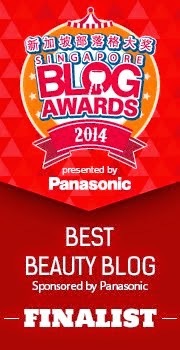 Can you share us your honest review on the before and after fat freezing treatment of Lush Aesthetics? Hi Anon, in my honest review, yes there is slight improvement seen in one session but of course, more sessions are required for more significant improvement. As mentioned earlier, for long lasting methods, I believe healthy diet and exercise will be better. Or you can choose to combine this fat freezing treatment with healthy diet and exercise for faster results. Hope this helps. you handled the aspect I thought to be controversial. 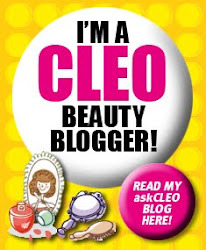 You are always incredibly kind towards readers much like me and assist me to in my lifestyle. It is a cheap and effective approach of getting a slimmer, smoother and toned body.